Given out yesterday (May 25) at Sardi's Restaurant, the awards celebrate both Broadway and Off-Broadway productions but it was the one's on the Great White Way that made the biggest impact with the revival of Hello, Dolly! and the new musical Come From Away being the big winners with five each. 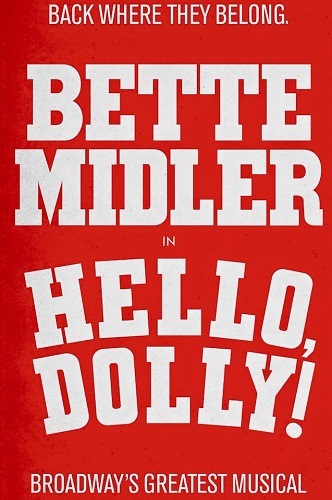 One of those Dolly prizes went to Bette Midler for Outstanding Actress in a Musical. She accepted by telling the crowd that the show is the "hardest job I've ever had in my whole life. You people on Broadway are nuts!" but went on to also say how much she is enjoying her time in the show adding "I mean, I’m riding all the way to the bank…"
Hello, Dolly! also won Outstanding Revival of a Play, Outstanding Choreography (Warren Carlyle), Outstanding Orchestrations (Larry Hochman) and Outstanding Feature Actor in a Musical (Gavin Creel). The new musical, Come From Away, is about the small town of Gander, Newfoundland on the day that over 6,500 passengers landed on planes diverted after the 9/11 attack. The show won Outstanding New Broadway Musical, Outstanding Book of a Musical (Irene Sankoff & David Hein), Outstanding Director of a Musical (Christopher Ashley), Outstanding Sound Design (Gareth Owen) and Outstanding Featured Actress in a Musical (Jenn Colella). The Best New Score went to David Yazbek for The Band's Visit. Other acting winners included Kevin Kline (Actor in Play, Present Laughter), Laura Linney (Actress in a Play, The Little Foxes), Andy Karl (Actor in a Musical, Groundhog Day), Danny DeVito (Featured Actor in a Play, The Price) and Cynthia Nixon (Featured Actress in a Play, The Little Foxes). 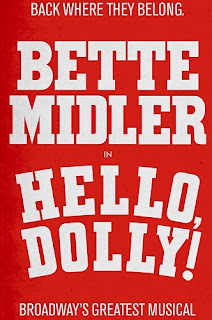 Midler has two more chances for awards for Dolly, this Sunday night (June 4) and the Tony Awards the following Sunday (June 11).